Want to win an outfit from H&M?!?! Watch the video and find out how! Kate Spade New York has named Anna Kendrick as the face of the Holiday 2014 Advertising Campaign. Shot in Sin City by photographer Cedric Bouchet, the pics are fun, playful, and nostalgic. Also beginning in 2015, Kendrick will act as the muse for Kate Spade New York's "The Year of Adventure" campaign. Click let's continue for more amazing photos. Traditional deodorants may contain harmful ingredients like aluminum, parabens, and propylene glycol. If absorbed, studies show these chemicals may have harmful effects on the body. Lavanila’s innovative Healthy Deodorant is a safeand natural alternative. Breakthrough Beta Glucan Technology combines powerful antioxidants with potent anti-bacterial agents for long-lasting, luxurious results. These award-winning, all-natural deodorants deliver superior, long-lasting odor protection. Free of aluminum, paraben and propylene glycol, these multitasking deodorants are infused with essential oils and antioxidants for daily defense and nourishment. 50% of all Vanilla Grapefruit collection purchases made on Lavanila.com during the month of October will be donated to Breast Cancer Research & Awareness! We all have those things we would love to add to our closet. Here is just a few things I'm loving this month. One of my favorite brands, Aveda is continuing their effort to raise funds for the National Breast Cancer Organization! 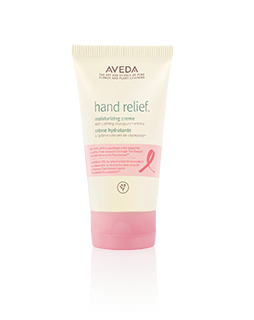 With each purchase of their Limited-Edition Hand Relief Moisturizing Creme, Aveda will donate $4 towards cruelty-free research through the National Breast Cancer Foundation. This promotion ongoing until September 23, 2017. Burlington Grand Opening + Giveaway! With one visit to Burlington, you can get something for everyone in your family. I grew up going to Burlington, back when it was Burlington Coat Factory, but now they're so much more than coats. From houseware to beauty and fragrance there's so much to see and shop. On my most recent trip, I picked up a pair of cute fashion booties, makeup remover wipes, nail care items, some things for around the house and clothing for myself, my lil man and SharpShooter. (Don't forget to check out my instagram for pics!) Select stores even have a designer showroom where you can find pieces from designers like Gucci and Jimmy Choo. On October 24, Burlington will be opening two new stores in the Philadelphia area: Hatfield (1591 Bethlehem Pike) & Philadelphia (7301 Castor Avenue). As you know on Fashion of Philly, we love a grand opening so we're celebrating by hosting a $50 gift card giveaway! To enter simply, follow the task in the widget below. Happy Entering! 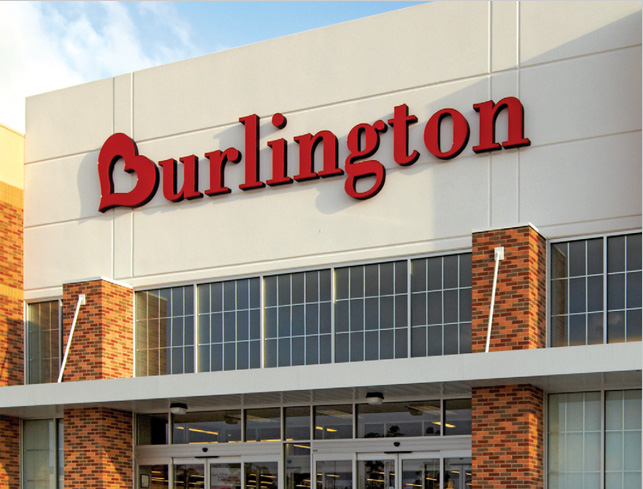 *Special thanks to Burlington for sending me a gift card to write about my shopping experience. 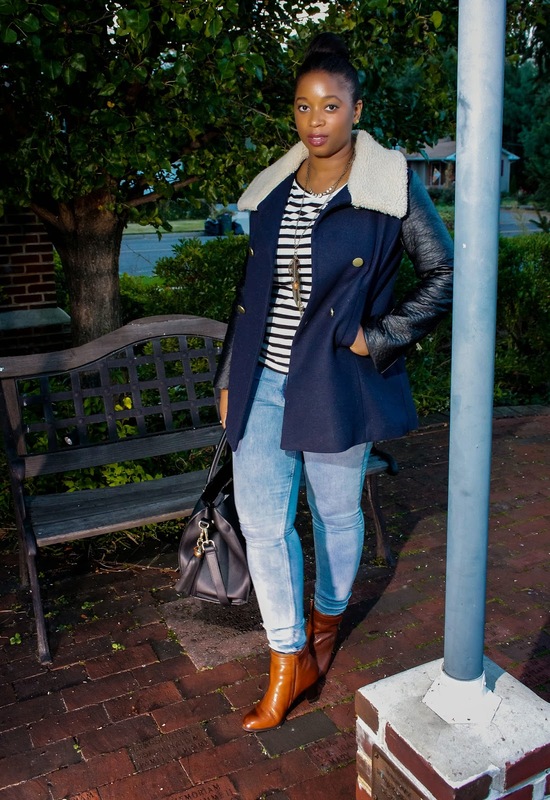 The weather's getting cooler and it's time to find that perfect coat for transitioning into winter. Of course, H&M is has an amazing selection of outerwear in all the latest styles at great prices. 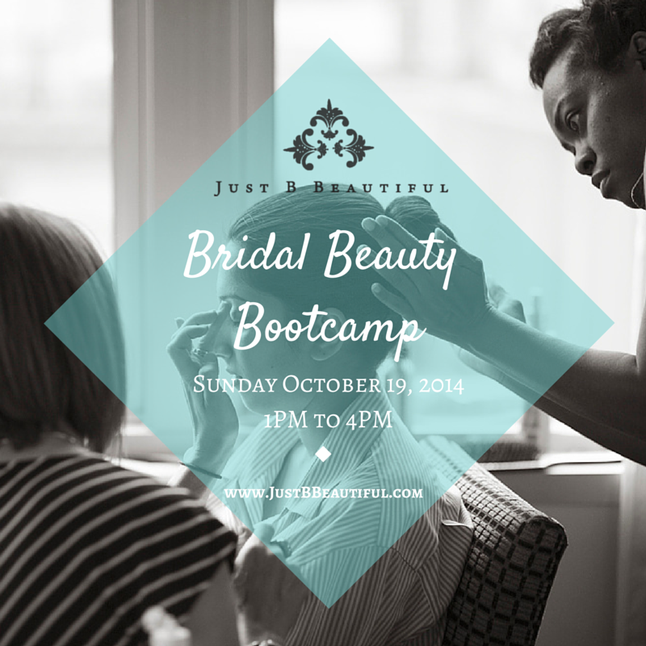 Just B Beautiful is hosting its first ever Bridal Boot Camp, Sunday October 19! Brides-to-be can enjoy a panel of esteemed health and beauty professionals covering a wide range of topics to get you ready for your big day! Special guest include Ashley Piotrowski, Owner of The Bronzed Bee; Danielle Larigione, Studio Manager Dollface Studios, Terrell “Trethetrainer” Roper, Owner of Your Investment Fit Club; Amber Clay, Owner of My Lady in Waiting Services; and, of course, the Just B Beautiful team will be on hand to share their knowledge of the latest 2014-2015 beauty trends. Get advice on bridal makeup trends, waxing and spray tans, while sipping delicious local wines. Tickets must be purchased online before the event and right now you can save $20 by entering the code "JBBturns10" at checkout. So don't miss out on this awesome discount and I hope to see you there! Agraria is donating 35% of proceeds from all Cedar Rose purchases on its website, www.AgrariaHome.com to the Breast Cancer Research Foundation. Rockport's new line of Total Motion footwear allows you to be stylish while living your day to day life. With mostly everyone living a busy and hectic life, there's not much time to allow things to slow you down, especially your footwear. With that being said Rockport has launched the #PoweredByHeels campaign to show women leading their life in stylish shoes that give them the support and style they want and need. Every year my family takes a trip to Disney for their Food & Wine Festival. We have an amazing time and I'm sooo looking forward to it this year. If you've never experienced Walt Disney World's Food & Wine Festival, it's a great chance to experience the grown-up side of Disney and since we're on that topic, I decided to find a few fashionable ways to show your Disney Side. From RedValentino Snow White and the Seven Dwarfs Pumps to an Uniqlo Tinker Bell Tee, these styles show that you don't have grown up too soon. 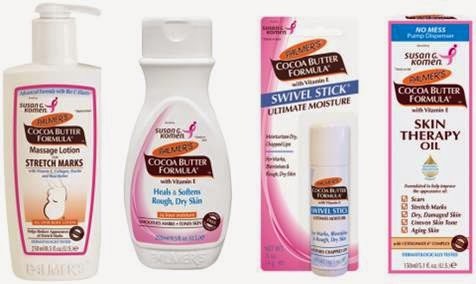 Palmer's is going “pink” once again for National Breast Cancer Awareness month: donating 15 percent of the sales price (with a minimum donation of $100,000) from specially-marked bottles of its core Cocoa Butter Formula products to Susan G. Komen® beginning October 2014 through June 2015. 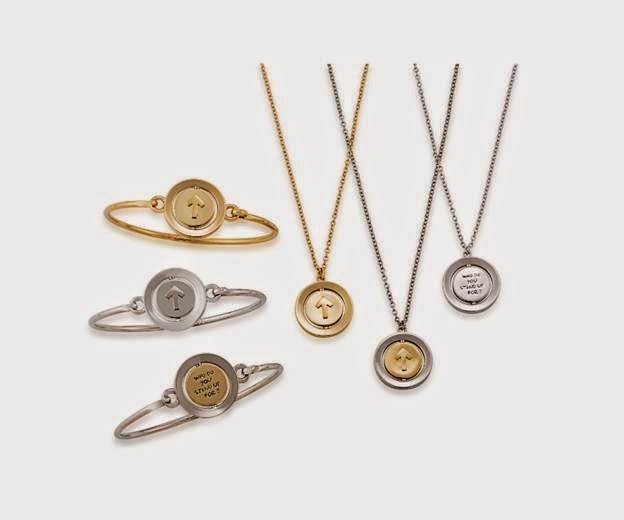 Carolee introduces Word Play ™ Double Take bracelets, which allow a woman to “wear” her own personal story. This collection will specifically benefit Stand Up To Cancer, a program of the Entertainment Industry Foundation, which funds groundbreaking cancer to bring therapies to patients quickly to save lives now. Philadelphia is known for having the best sports fans and Eagles fans are flying high this season. Just walking around the city on game day (or any given day) you'll see tons of guys showing off their favorite Eagles gear. Sharpshooter (my fiance and photographer/videographer) is definitely one of them. He bleeds GREEN. However, when it comes to official women's NFL apparel, look no further than NFLShop.com. 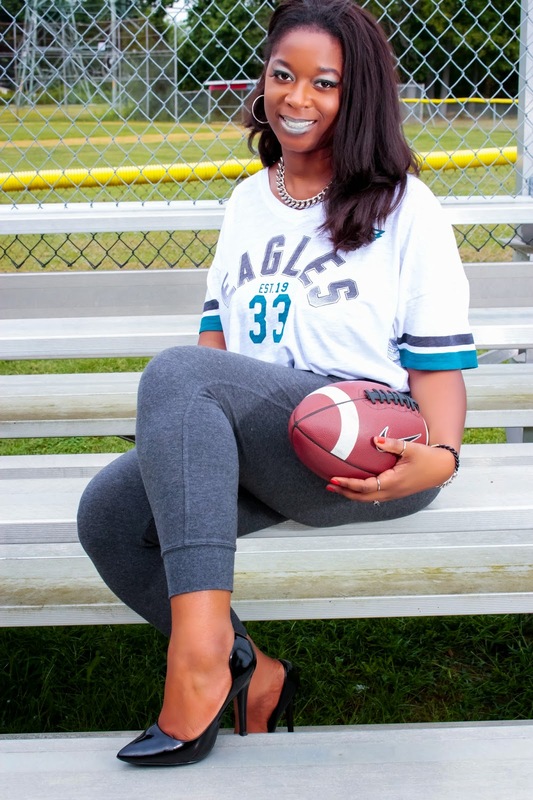 I love this GIII Touch Hadley Tee, the loose fit and mesh back makes it perfect for game day (or night). Philadelphia Mills (formally known as Franklin Mills) has always been a shopping destination for me. There are tons of great designer name brands to discover around the mall including one of my favorite stores, Neiman Marcus Last Call. 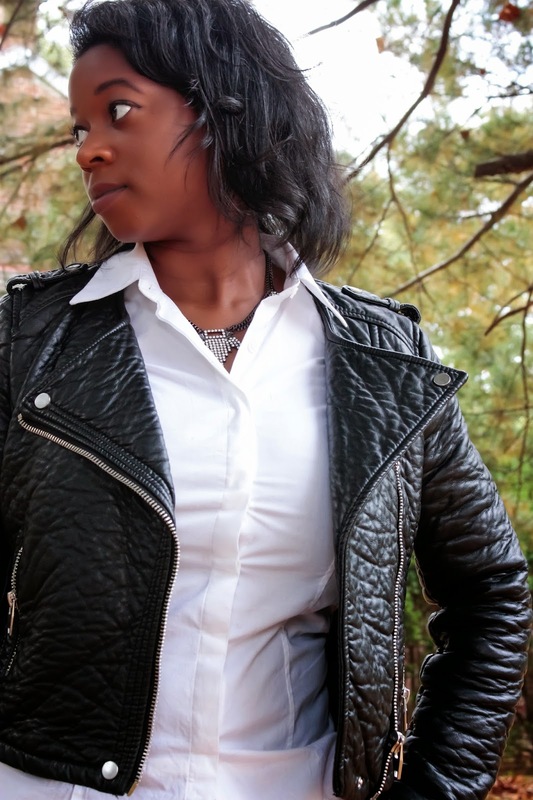 Recently, I was invited to recreate some Fall fashion looks from amazing designers like Celine, Armani, and Lanvin. Pictured are just three looks I loved, but you can see more in the video below. Want a way to score a few looks of your own. 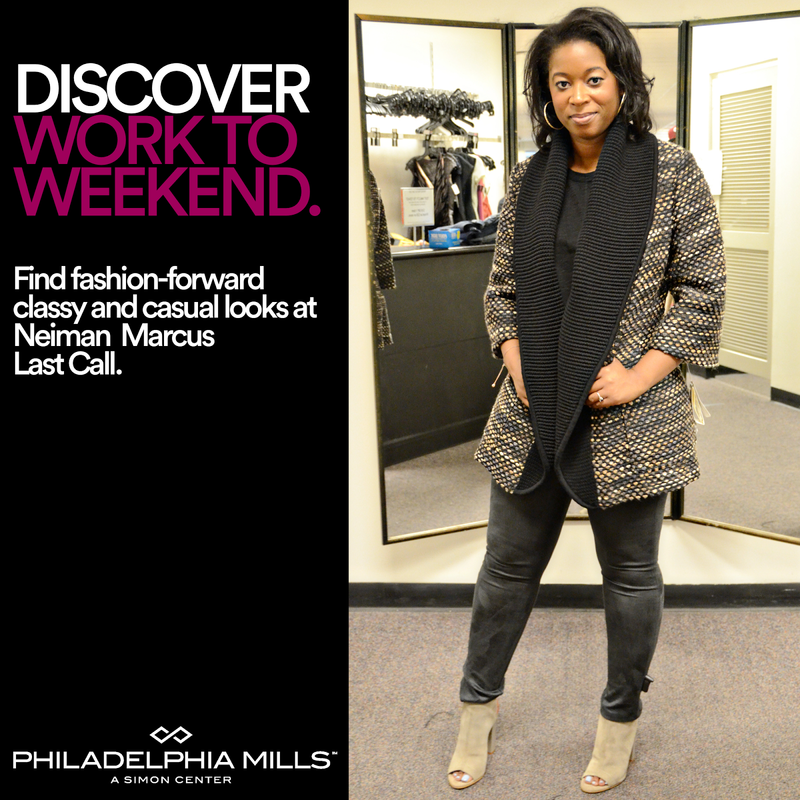 Visit the Philadelphia Mills Facebook page to enter to win a $100 gift card to Neiman Marcus Last Call! 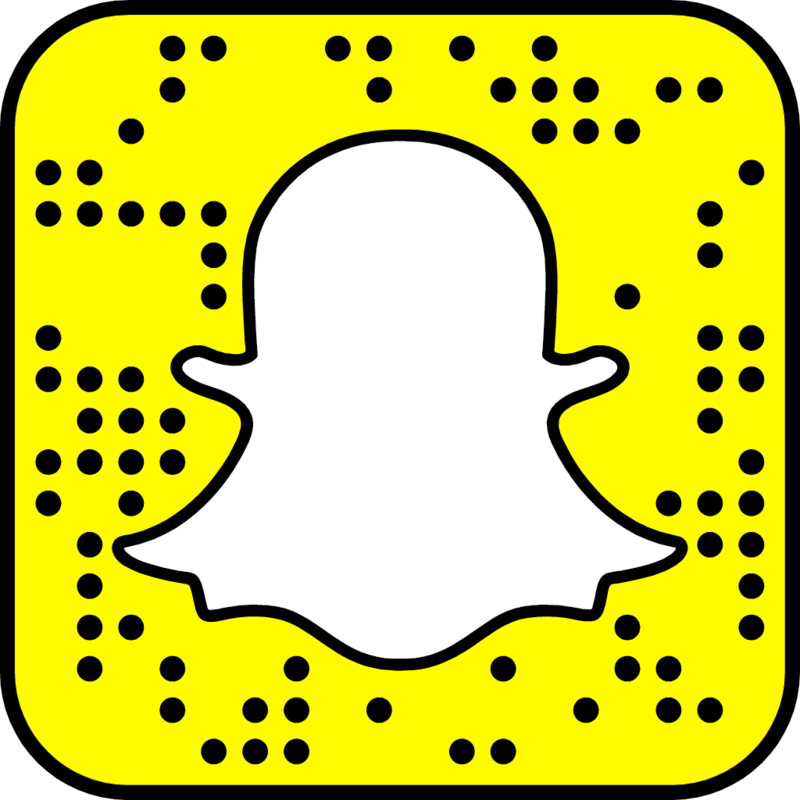 Don't forget to share your Philadelphia Mills finds on social media using the hashtag #DiscoverPHLMills! I can't wait to see what you discover! 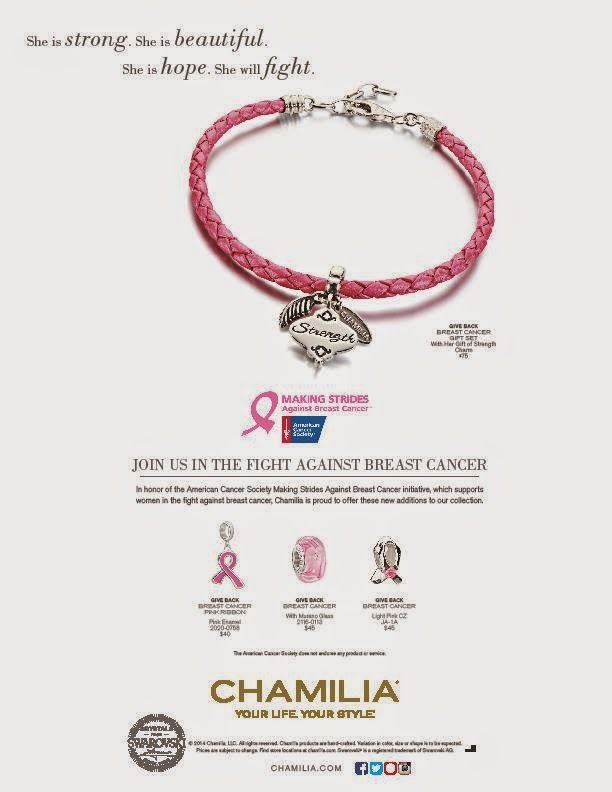 In honor of the American Cancer Society Makin Strides Against Breast Cancer Initative, which supports women in the fight against breast cancer, Chamilia is proud to offer these new additions to their collection. Shop the collection here. We love interacting with our readers especially at store openings and events like this one at the newly designed H&M store in the Cherry Hill Mall! Special thanks to everyone who came out and joined us. We had a great time. Hope to see you at our next event! 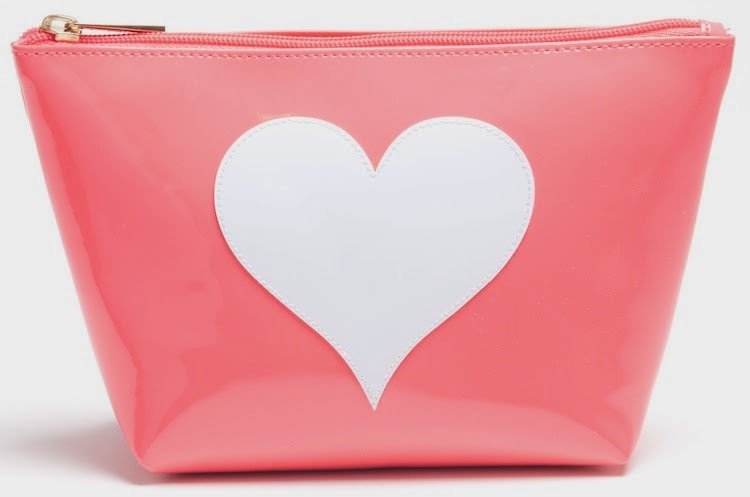 Paula & Chlo joins the fight against breast cancer with an assortment of pink-themed cosmetics bags that donate a whopping 100% of profits to B4BC (Boarding for Breast Cancer), a 501(c)3 non-profit foundation dedicated to providing breast cancer education, prevention and support programs. 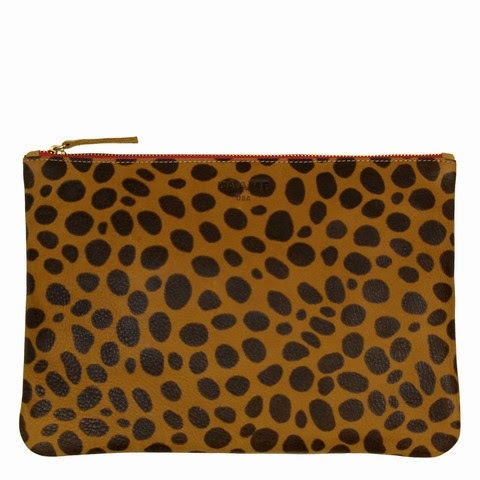 The collection features four bags, in four different color options and two "Mini" or "Pouch" sizes. All bags will be available for purchase now throughout the month of October on a dedicated BCA page on PaulaandChlo.com. For the month of October, CureDiva.com is offering an Acquarella by CureDiva nail polish, sold exclusively for Breast Cancer Awareness. This limited edition bottle will help benefit research and finding a cure for breast cancer. Appropriately named, "Brave", it will be available for purchase from September 15th 2014 - October 31st 2014 only at CureDiva.com. $1.00 of every purchase of "Brave" ($17.00) will be donated to breastcancer.org. Happy October Everyone! 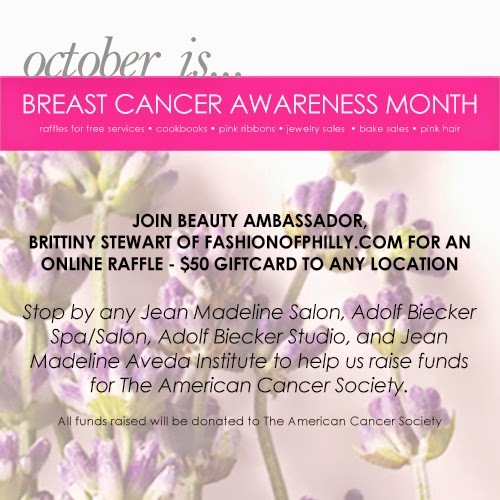 It's Breast Cancer Awareness Month and as mentioned before, Fashion of Phillly has teamed up with Jean Madeline Inc. and Jean Madeline Aveda Institute to support an awesome cause. To kick things off we will be hosting a giveaway for a $50 gift card to be used towards any service at any Jean Madeline Inc. and Jean Madeline Aveda Institute location. While your enjoying your day at the spa or salon, make sure you check out the many ways you can help support the American Cancer Society. To enter the giveaway simply complete the tasks in the widget below. Don't forget to check back throughout October for more updates on ways you can get involved.